Stacy Smyth is not one to rest on his laurels. The 20-year-old from Dannevirke is currently in his fourth year as a heavy fabrication apprentice at RCR Energy Limited (RCR). He’s busy preparing for the WorldSkills competition (an international competition where young tradespeople compete to become the best at their chosen skill) as part of the Tool Blacks (the New Zealand WorldSkills team), competing in the welding category. Becoming an apprentice seemed like a logical step for Stacy who grew up on a farm and enjoyed hands-on work and the process of building a finished product. Stacy heard about the apprenticeship at RCR Energy Limited through a friend’s father. The four-year apprenticeship has opened doors to career opportunities he previously didn’t know existed. The team at RCR have been behind Stacy every step of the way through his apprenticeship and also the WorldSkills competition. RCR Workshop Foreman Craig Monaghan says Stacy has come a long way since he started almost four years ago. Stacey is hoping to finish his apprentice before his twenty-first birthday in January next year, and is looking forward to the future. A strong advocate for apprenticeships, Stacy says more young people should consider becoming an apprentice. “I just brought my first home. Lots of young people just muck around. You either want it or you don’t want it,” he says. The WorldSkills competition is in Sao Paulo, Brazil and runs from 12 to15 August. 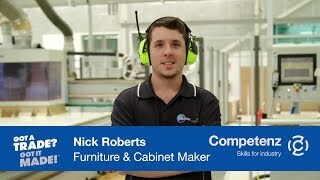 For more information, please visit the WorldSkills website.